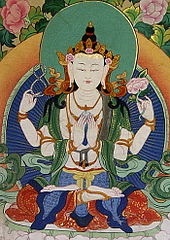 We evoke your name, Avalokiteshvara. We aspire to learn your way of listening in order to help relieve the suffering in the world. You know how to listen in order to understand. We evoke your name in order to practice listening with all our attention and open-heartedness. We will sit and listen without any prejudice. We will sit and listen without judging or reacting. We will sit and listen in order to understand. We will sit and listen so attentively that we will be able to hear what the other person is saying and also what has been left unsaid. We know just by listening deeply we already alleviate a great deal of pain and suffering in the other person. Here you'll find some creative threads I've pulled at and followed over the years including a spiral calendar on .13 moon time.